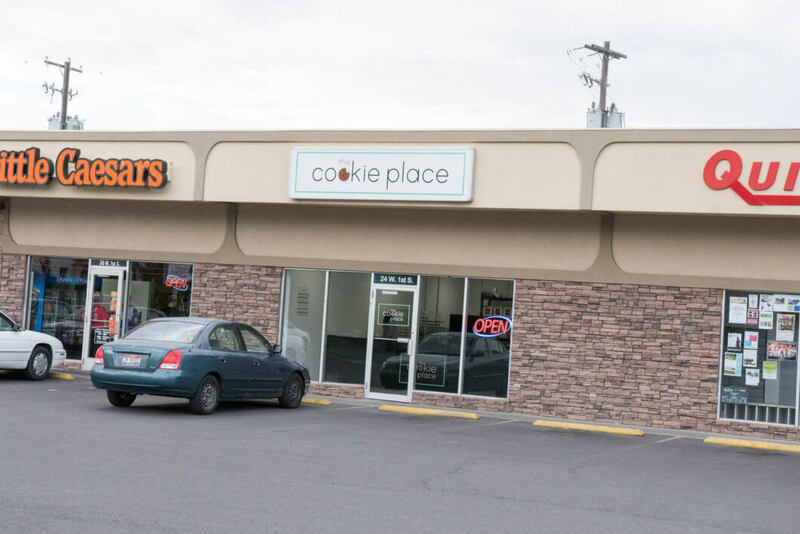 Rexburg is saying that “if you have a sweet tooth for a heck of a chocolate chip cookie” THIS is the place….The Cookie Place. Garth and Amy Romrell, from Idaho Falls ID had a dream to bring a unique experience to Rexburg and especially to university students. 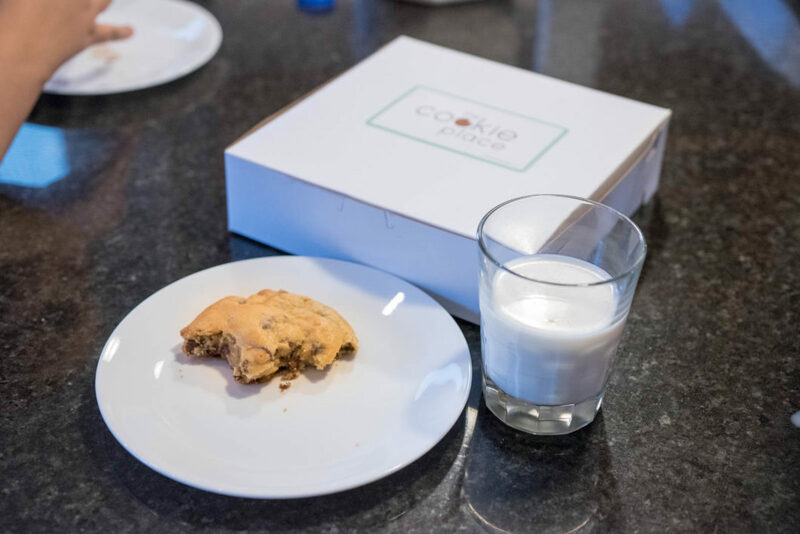 The menu is simple and straight forward… the perfect chocolate chip cookie, with milk and soda options. The cookie is simply perfect. Good luck eating the cookie without any milk. One fan of the Cookie Place’s cookies describes them as the “softest, warmest, and most delicious chocolate chip cookies I have ever had!” Another commented that they are “Slightly crispy on the outside and gooey on the inside.” We wanted to know if what we heard was true so we headed over to their shop, conveniently located between Little Caesars and Quick Ship N’ Copy. The store will have a grand opening event on the 7th of september, 2017. The staff was just as friendly as we had heard! Garth took the time to explain to us where the idea of their business came from and what makes their cookie so special. “We don’t use any cheap fillers to make the cookies bigger. Everything that we put into the cookie is the best that we could find,” explained Garth. The cookie is goey on the inside, while holding a nice exterior finish. 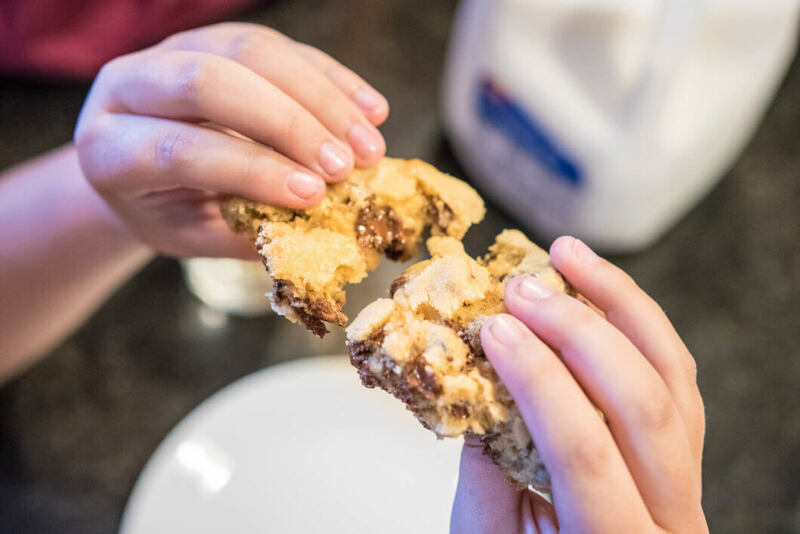 You can purchase chocolate cookies anywhere, but the Cookie Place is the only place in Rexburg that you can purchase an “Oh my gosh cookie.” They really will leave you amazed with the difference of a cookie from the Cookie Place. Why not grab 2 boxes instead of one! 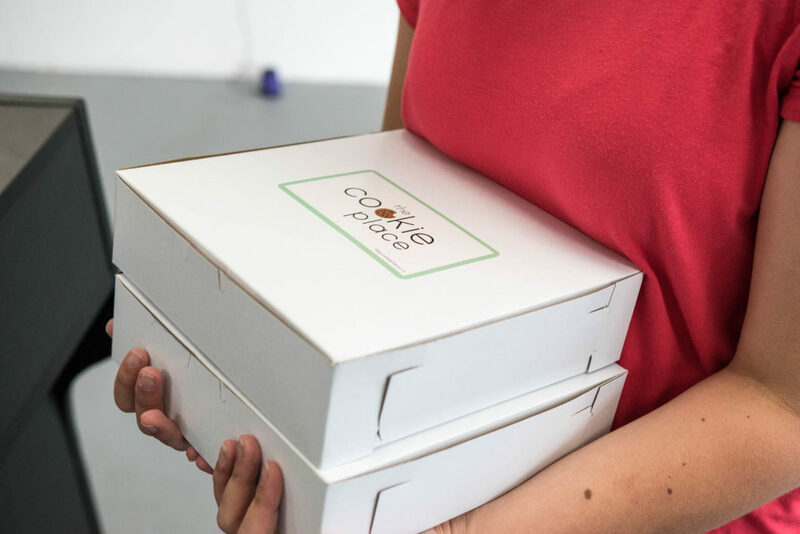 Visit their website at thecookieplace.co, or their instagram. The company will be having a grand opening event during the entire day that they are open on Thursday, the 7th of September, 2017. Expect there to be lots of cookies available for purchase! ← How can we help with Hurricane Harvey?